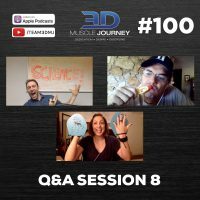 In today’s episode, Brad, Andrea, and Eric answer 10 questions in the areas of nutrition and training. 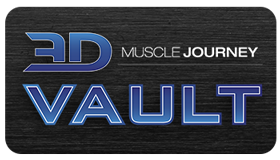 Topics include: the effect of cryotherapy on recovery and long-term hypertrophy adaptations, the hedonic staircase and how this concept can be useful when cutting/bulking, scenarios when it can be useful to track volume via volume load, and many more. Whether this is the first episode you listen to or you’ve been with us for all one hundred, we want to thank you for listening and for your continued support and participation in helping this podcast to grow and reach new people. We enjoy recording this podcast each week and love hearing how it has positively affected our listeners. On that note, let’s get on with the Q&A session! 34:38- For natural physique athletes, how long should an off-season last? How long should a competitive season last? Hi guys! You are the best experts. I am experiencing exercise-induced anger during intensive sessions. I’m getting a huge rage and it keeps me going through. I’m not sure if that’s normal/healthy, and why it is happening . I didn’t find any related research on this topic. Maybe you could cover it in some podcast or give references to relative research. oh wow! quite an interesting observation there. No, we have not yet talked about that on the podcast, but this topic will be added to our bank for future episodes. In the meantime, you might also want to look into the supplements you may be taking. I know Eric has told us a story before about how a certain supplement that was part of a pre-workout he used to take would have him more irritable and and moody than when he was not taking it. Might be worth logging your mood in relation to certain things like that to see if there is a connection?